As I was testing my new set of designs from the Lavender skye collection I set myself the task of combining the five designs to create a larger design. Here is an outline of how I went about combining them for a 10″ by 8″ hoop. Remember that if you do not have such a large hoop you can position each design using the Outline alignment stitches (OAS) which come as an option on all my new designs. It is most important that you copy and paste all the designs before you alter them so you do not spoil the original design. 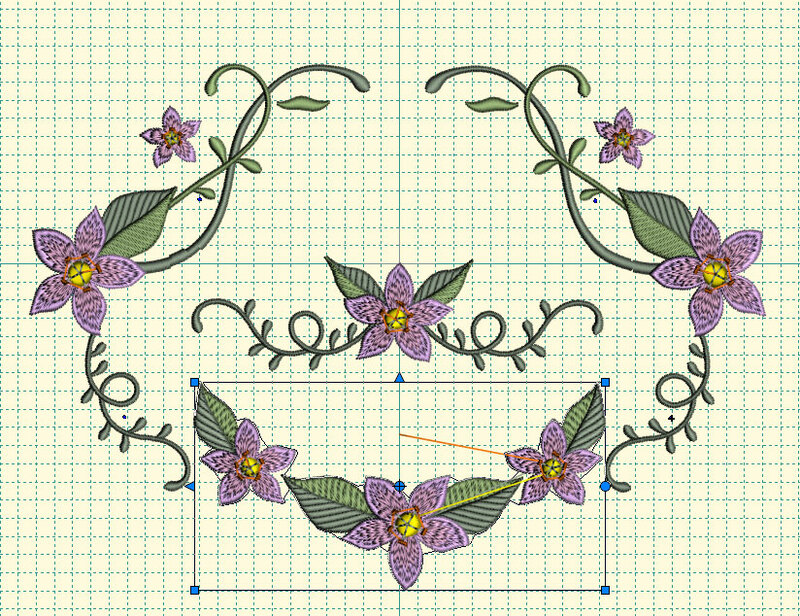 The editing of these designs was done in Husqvarna 5D Stitch Editor and my grid size was 0.197 “. I opened GFE_LVS_1_2, copied and pasted it and rotated it by about 35 degrees placing it in the lower right section of the new page I opened in Stitch Editor. 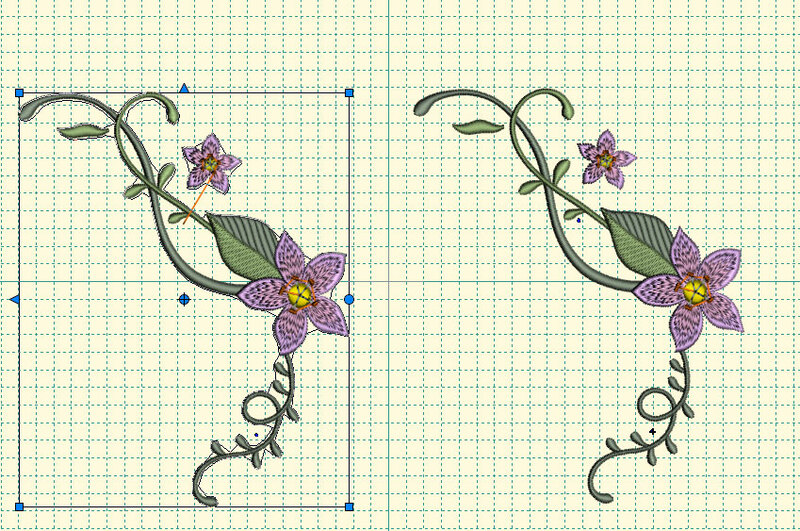 Then I added GFE_LVS_1_21 on top of it so the end of the 1st design is hidden under the lowest petal of the second design. 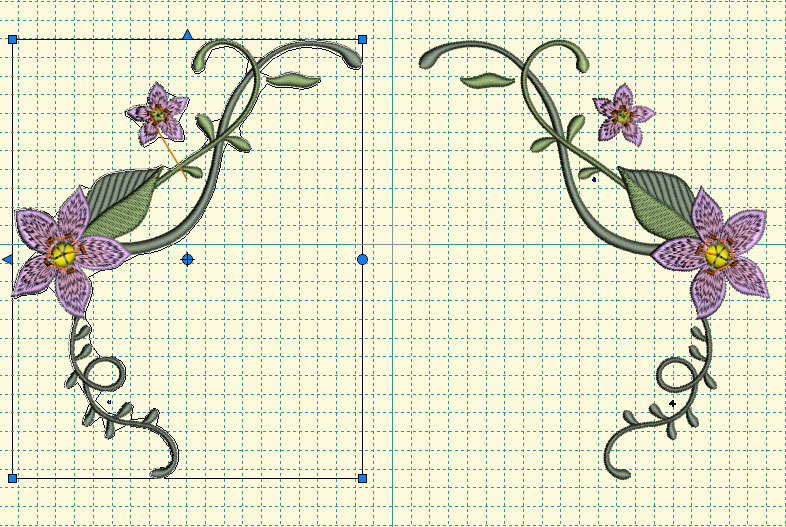 Copy and paste the 2 combined designs and mirror image them using the grids of your software to place them equally with about 0.6″ (15mm) between. 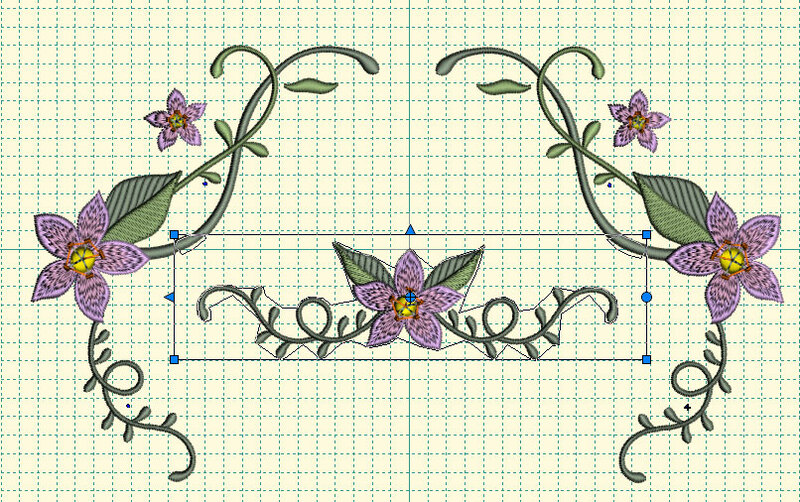 Open GFE_LVS_1_8 and rotate it 314 degrees and place it below your designs in the middle. Open GFE_LVS_1_6 and rotate it 54 degrees and place it below your designs in the middle. 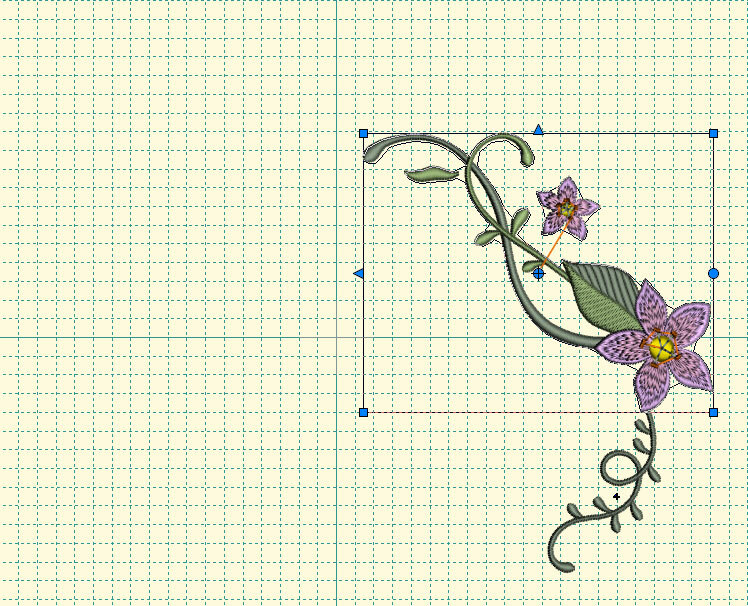 Lastly open GFE_LVS_1_1 and rotate it 137 degrees and place it centrally above all the other designs. Check the placement of all the designs and then centre the design for your 10″ by 8″ hoop. 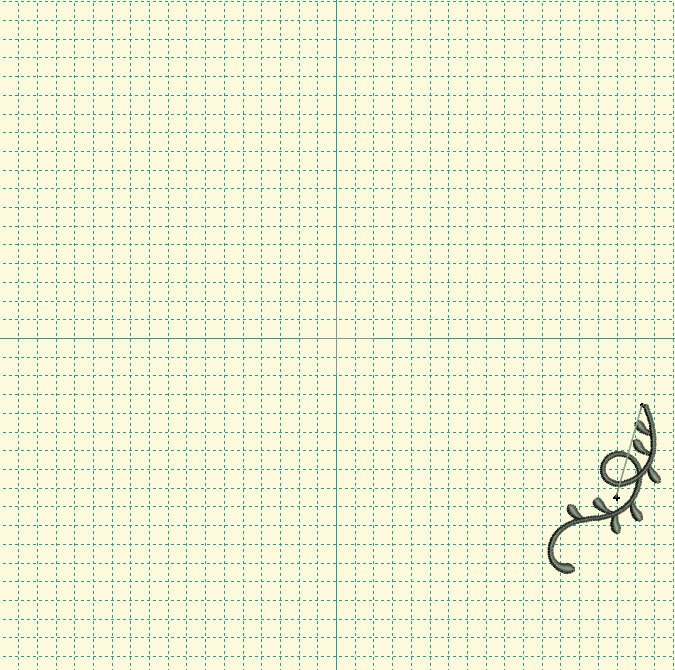 You will need to colour sort your designs and then save your work. Providing that your finished design looks good and is well aligned it doesn’t matter if it is not exactly the same as mine. 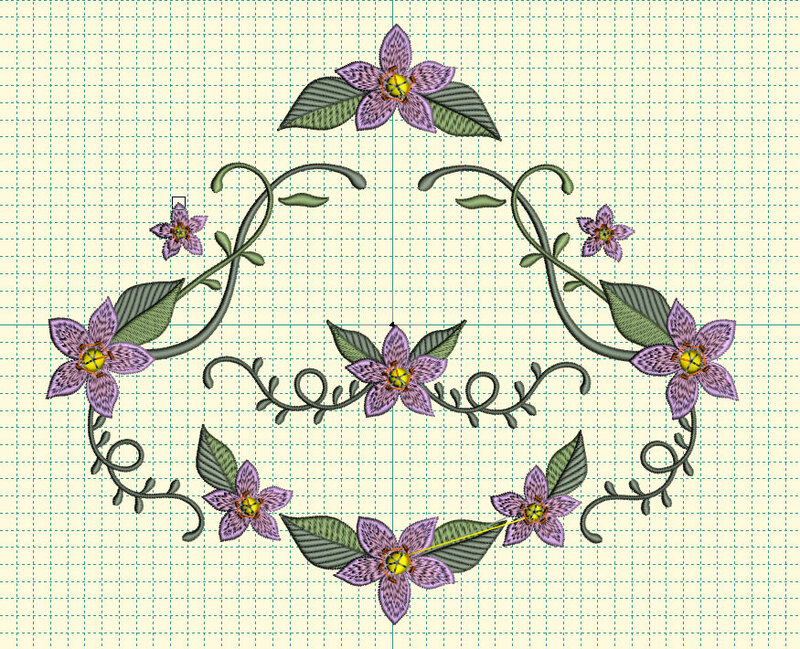 starting with the first set of 30 designs for 4″ by 4″ (100mm x 100mm) hoops. These will be released next weekend. 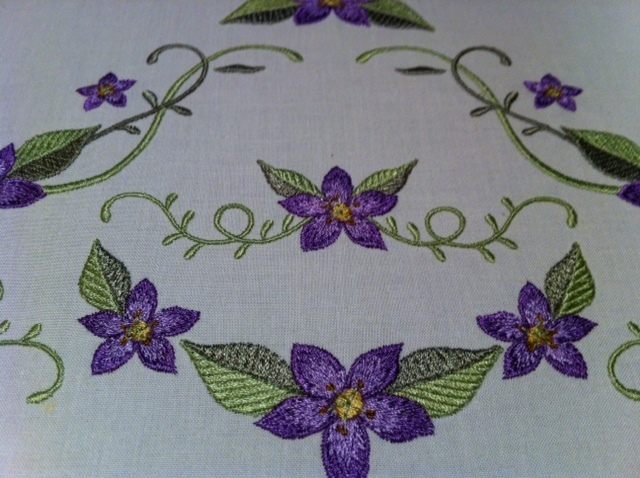 Watch out for my next post about scalloped edged Georgiana designs! Nice design and nice work…….I really impressed with the design and especially from output.